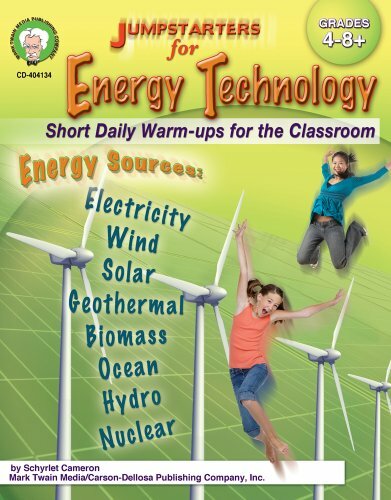 Connect students in grades 4 and up with science using Jumpstarters for Energy Technology: Short Daily Warm-Ups for the Classroom! This 48-page resource explores new energy technologies, such as solar energy, geothermal energy, biomass fuels, and hydroelectricity. It includes five warm-ups per reproducible page, answer keys, and suggestions for use.